Mary K. Gaillard is Professor of Physics at the University of California, Berkeley (1981-present). Other institutional affiliations include National Center for Scientific Research (CNRS) in Paris, France. Her research interests include supersymmetry and supergravity. April 1, 1939Birth, New Brunswick (N.J.). 1960Obtained BA, Hollins College, Roanoke (Va.). 1964Obtained Doctorat du Troisième Cycle, University of Paris, Orsay, Orsay (France). 1964 – 1981Assistant Researcher (1964-1968); Associate Researcher (1968-1973); Research Manager (1973-1980); and Director of Research, Annecy-le-Vieux (1980-1981), National Center for Scientific Research (CNRS), Paris (France). 1964 – 1981Visiting Scientist, European Organization for Nuclear Research (CERN). 1968Obtained Doctorat d'Etat in Theoretical Physics, University of Paris, Orsay, Orsay (France). 1973 – 1974Visiting Scientist, Fermi National Accelerator Laboratory. 1981 – presentProfessor of Physics, University of California, Berkeley, Berkeley (Calif.). 1981 – presentFaculty Senior Scientist (1981-present) and Group Leader, Theory Division (1985-1987), Lawrence Berkeley National Laboratory. 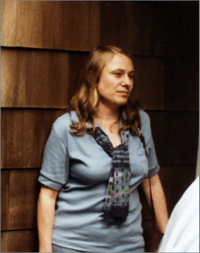 1983 – 1985Member (1983-1985) and Chair (1985), Committee on the Status of Women in Physics, American Physical Society. 1983 – 1988Member, Advisory Committee, Theoretical Advanced Study Institute in Elementary Particle Physics (TASI), University of Colorado, Boulder. 1985 – 1988Member, Astrophysics Advisory Committee, Fermi National Accelerator Laboratory. 1986 – 1990Member, Physics Advisory Committee, Fermi National Accelerator Laboratory. 1988Awarded 1988 Ernest Orlando Lawrence Award. 1993Awarded J. J. Sakurai Prize for Theoretical Particle Physics, American Physical Society. 1996 – 2002Member, National Science Board. Second husband, and both employed at University of California, Berkeley. Assistant Researcher; Associate Researcher; Research Manager; and Director of Research, Annecy-le-Vieux. Visiting Scientist; Member, Astrophysics Advisory Committee; and Member, Physics Advisory Committee. Faculty Senior Scientist and Group Leader, Theory Division. Member and Chair, Committee on the Status of Women in Physics and received 1993 J. J. Sakurai Prize for Theoretical Particle Physics. Received 1988 Ernest Orlando Lawrence Award. Obtained Doctorat du Troiseme Cycle (1964) and Doctorat d'Etat in Theoretical Physics (1968). Member, Advisory Committee, Theoretical Advanced Study Institute in Elementary Particle Physics (TASI). Andrew Pickering interviews conducted for his book CONSTRUCTING QUARKS, 1978-1982.